Are Personal Loans AZ Bad Credit Still a Possibility? It’s a pretty common scenario – we see it all the time – you have a job with a decent income but your credit has taken a couple of hits over the recent years and now you’re facing some unexpected expenses. You need a personal loan but you’re having a hard time getting one due to your credit score. What exactly is a credit score and why does it matter? Essentially, a credit score is a number predicting the likelihood you’ll pay back your loans. When a bank determines that your credit score is too low, it means they don’t trust you to pay back your loans. They have a lot of charts and correlation backing their reasoning. If a person has low credit, the bank can charge higher fees to make up the difference on accounts that default (don’t pay back their loans). Otherwise, they lose money. If they lose too much, they don’t stay in business. So instead of lending a risky loan, they just choose to play it safe instead. This is what makes personal loans so hard to find. I have bad credit and I need money now. Don’t stress too much, personal loans AZ bad credit are still possible! 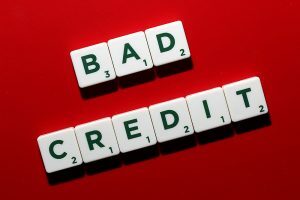 Bad credit may make it harder to find a lender but it’s not impossible to find a good personal loan. Tio Rico Te Ayuda Loan Centers offers personal loans for individuals with poor credit. If you need a fast cash personal loan contact Tio Rico to get more information, stop in to one of our convenient Arizona loan centers, or fill out our quick application. What do I need in order to get a personal loan? Tio Rico Te Ayuda makes it really easy for our customers to get personal loans, which are small loans in the amounts of anywhere from $100 to $1,000. If you are an Arizona resident and are 18 years or older, all you need is a motor vehicle registration in your name (even if it’s not current), a government-issued ID (like a driver’s license), and a bank checking account or pay stub from your employer. From there you can fill out our simple application form and you can get loan approval in 30 minutes or less. Choosing Tio Rico Te Ayuda makes getting the cash you need fast a very simple, effortless process. There are twenty convenient locations across Arizona and we offer flexible payment plans for all of our customers. Contact us today with any questions or get started by filling out our online application.